This large dining table forms part of our stunning Jolie Range. 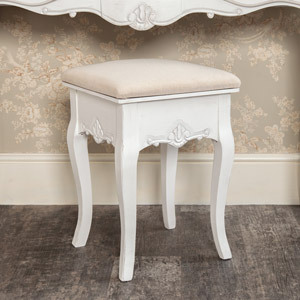 Painted in a vintage white, the ornate detailing epitomises the French style for a country chic look. 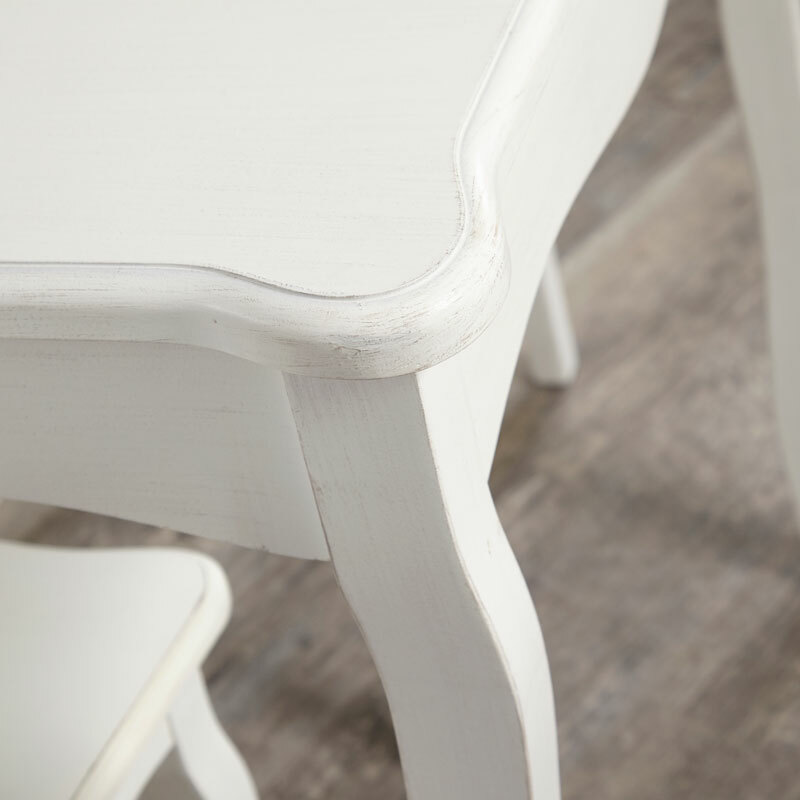 The table features elegant carved detailing that adds to the wonderful shabby chic look. The table will make an excellent addition to an elegant dining room or a country cottage kitchen. 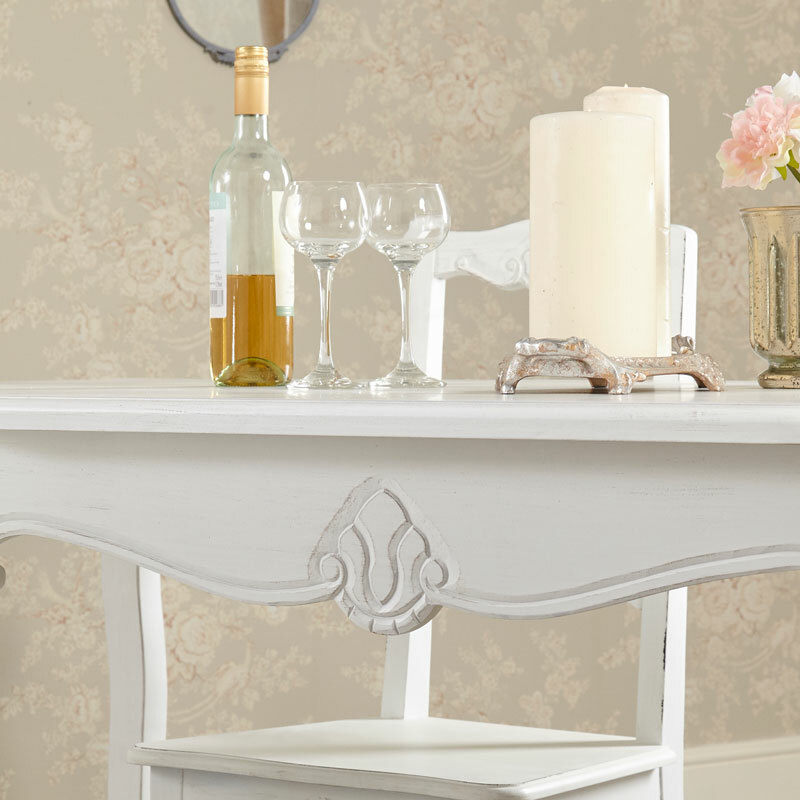 We have matching chairs available in our Jolie Range to complete a full dining table set. This goes along with other pieces in this range with furniture for the living room and bedroom. This large dining table forms part of our stunning Jolie Range. 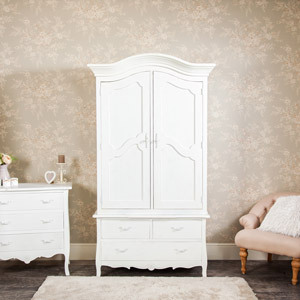 Painted in a vintage white, the ornate detailing epitomises the French style for a country chic look. 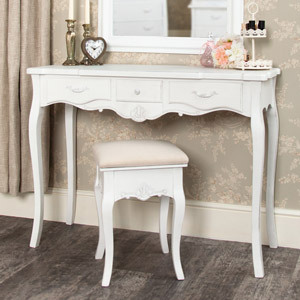 The table features elegant carved detailing that adds to the wonderful shabby chic look. The table will make an excellent addition to an elegant dining room or a country cottage kitchen. 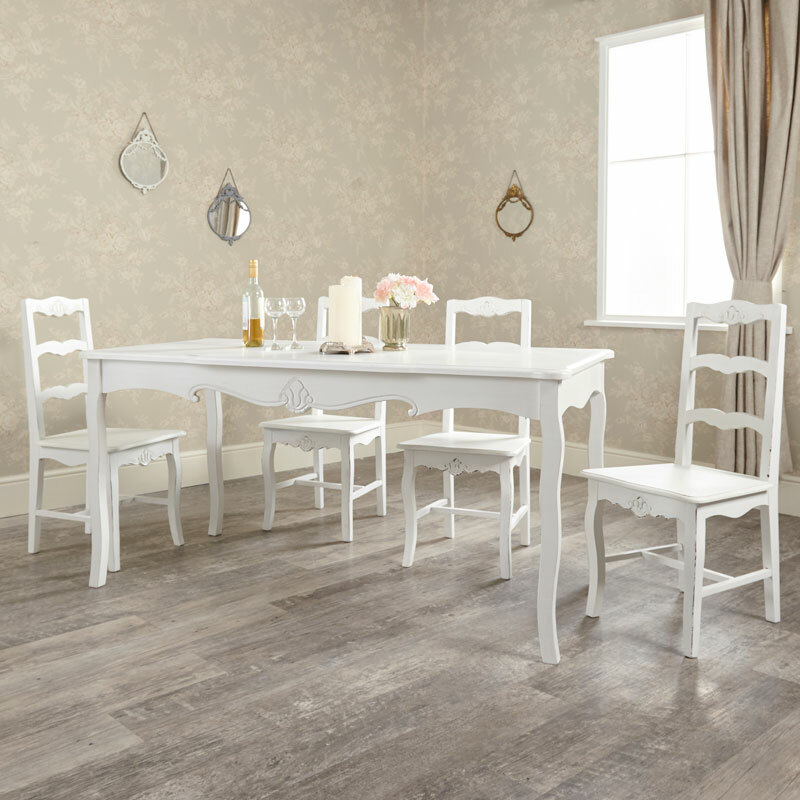 We have matching chairs available in our Jolie Range to complete a full dining table set. This goes along with other pieces in this range with furniture for the living room and bedroom. 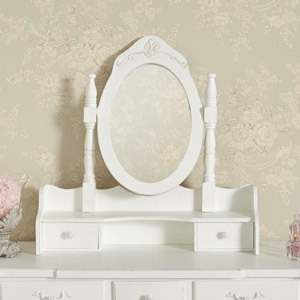 Constructed from wood and painted in a vintage white finish. The table requires minimal assembly with just the legs to attach. We have a fantastic choice in furniture for your home. From the classic French style to the more modern, contemporary and industrial. No matter what your taste we have something that you will love.